In my last post, I emphasized the need your IT people have in training and education, , , it is a key motivator for IT people and ranks as one of the top 3 reasons people say they stay with their company in surveys year after year. How would you like to have the ability to customize your own training curriculum in minutes and make it available to your employees? 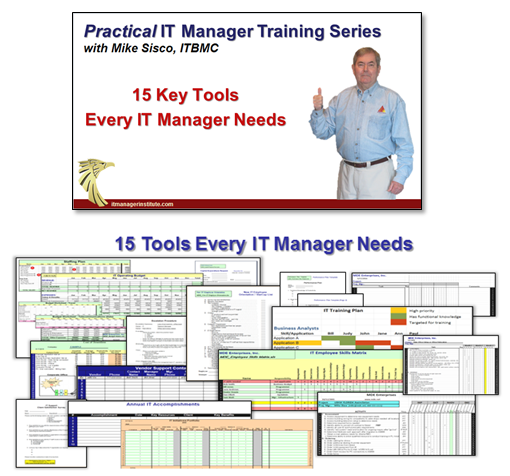 Tom Mochal and I spent three years developing weekly 20 Minute IT Manager (20MITM) training sessions to make a comprehensive training library available to IT managers. 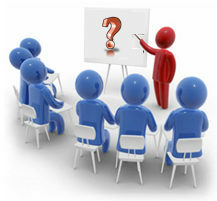 There are 162 sessions in the series, each 20 minutes or less in length, , , an ideal time to focus on a specific topic. Many of our clients host weekly training lunches or early morning training breakfasts for their team where they deliver a 20MITM session while everyone eats. At the end of the session, they discuss the training material and how it applies to their situation or what they can take from the session to improve their business. CLICK HERE to download and review the entire list of 162 sessions. From such a large and diverse list of topics, you could create several training tracks for your staff, , , one for managers and supervisors, one for project managers, one for Help Desk staff, another for the programming support team, , , even one for your desktop technicians. You could also put the training programs onto your Intranet and make them available for anyone in your company via the Enterprise license. Create a specific program targeted to a group of people or make it available as needed in your company. The point is that you are making an investment in your people’s education and growing their professional skills, , , and this investment is valuable for your employees and your company. Why is it valuable? Simple, , , one single tip or tool discussed in any one of the 20MITM sessions could be worth thousands of dollars to your company in cost savings, improving productivity, or avoiding a key risk. Purchase individual licenses for $499.00 each or an Enterprise license for $2,000.00 that gives anyone in your company access to 162 online training sessions via your Intranet. 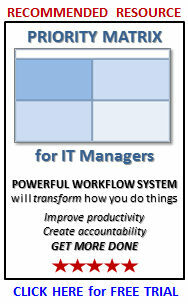 It also gives you a great vehicle to develop teamwork and improve productivity of your IT organization. 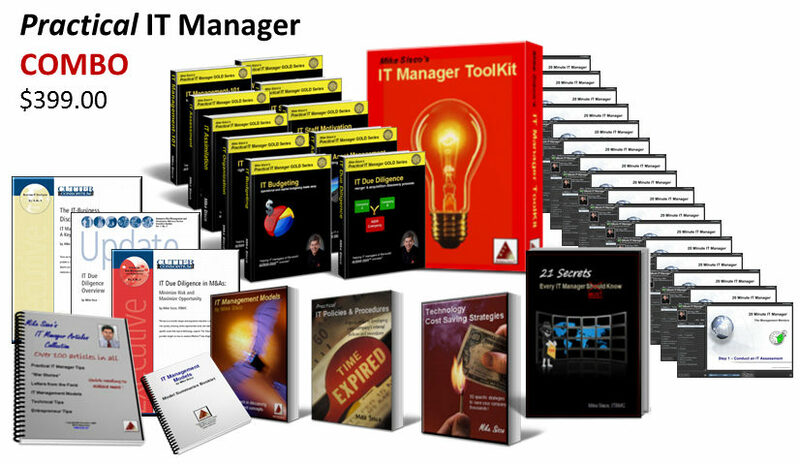 GET STARTED in minutes by ordering the complete 20MITM series, 162 sessions in all. 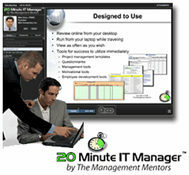 20 Minute IT Manager sessions are also available in single sessions at $9.99 each. Details are available at www.20minuteitmanager.com. This entry was posted in IT Manager Tips and tagged 20 minute it manager, 20mitm, e-learning, it education, it morale, it training, mike sisco, online training, tom mochal. Bookmark the permalink.